Andy Stern is the president emeritus of the 2.2-million-member Service Employees International Union (SEIU) which grew by more than 1.2 million workers during his tenure. 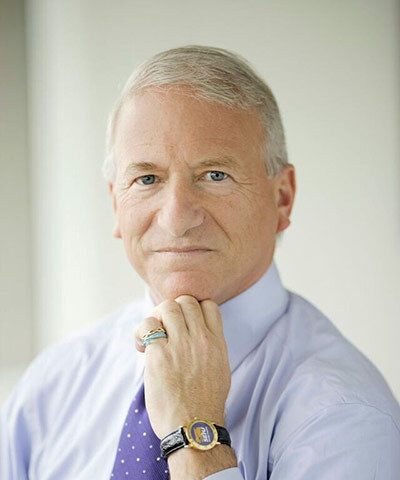 Called a "courageous, visionary leader who charted a bold new course for American unionism," Stern has been featured on 60 Minutes, CNN, and the covers of the New York Times Magazine, Fortune, and Businessweek. Stern was a U.S. presidential appointee on the Simpson-Bowles Commission and is now a senior fellow at Columbia University. His first book A Country that Works was published in 2005, and his new book Raising the Floor: How a Universal Basic Income Can Renew Our Economy and Restore the American Dream calls for the United States to take bold action in the face of the massive potential of job disruption.